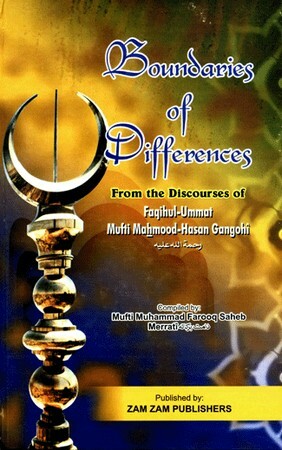 In this book the etiquette of the differences of opinion among the ulama are discussed in detail. It speaks of the limits of academic differences through examples from the lives of many of the Companions and scholars past, the mutual respect they held for each other despite disagreeing on certain issues, where they would not allow those differences to tarnish their admiration for one another. Extracted from the discourses of Mufti Mahmud al-Hasan Gangohi and compiled by Mufti Faruq Mirathi.